Struggling against a deadly virus, humanity undertakes an insane attempt at rescue. A group of scientists has discovered how to transform humans into mechanical robots, immune to the virus. However, the scientist responsible for the research of reverse transformation went missing under mysterious circumstances, leaving hope of the human race's rebirth behind. Can you return mankind to its original state? Steel LIFE is rated 3.4 out of 5 by 46. 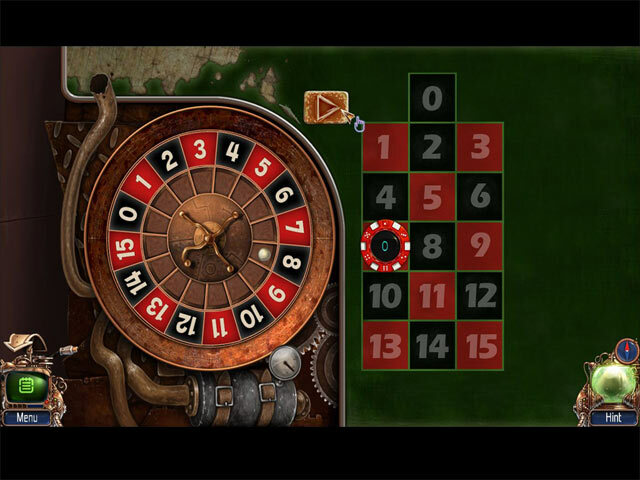 Rated 5 out of 5 by Roland1960 from Best Big Fish game ever A game in which you have to think hard at times. A very nice challenge. Finally a game without sparkles or obvious hints, thank you makers ! I loved it. Rated 5 out of 5 by Shamisen from Challenging I will admit I found it difficult to get through this game without a walkthrough, but I made it ... eventually. I am no game expert. It's good to know I was up to the challenge. I will be playing this game again ... and again. Rated 5 out of 5 by blackfaerie11 from If you like analytic/logic puzzles, you'll probably like this game I'm going to give this a 5 because I don't regret purchasing it, but it's really about a 4.2. Bonus points for being different and a challenge. I have been on this site for years and I need a challenge to be satisfied, and this was one. True, grammar was not spot on, but you could still figure out what you needed to. Plus it had some really different world-building creativity going on, which I really appreciate after having played a ton of these. It pretty much pushed me to figure out more and use my brain more. I chose the advanced level. There were several times that I couldn't figure out what to click on or that something was click-on-able. But eventually I got it and I appreciated that the game made me work for it. This is one of those games where all in all, I didn't have to do much, but I was challenged, and although I had to skip one puzzle (which I almost never do, but it was the only one similar to other games I've played and I couldn't solve it after hours), nothing irritated me, save for the end where it was a question mark and made me wonder if there was a bonus level I couldn't find. That doesn't mean I wasn't frustrated at times, but when I finally figured something out (after having to do a lot of going back and repeating steps again) it felt pretty good. This game doesn't hand it to you like some other games. Rated 5 out of 5 by Aliana_4711 from Outstanding: tricky, challenging, lovely and retro. My rating is based on playing the entire game and meeting all of my requirements. At the beginning, it is not so easy to find the right approach, it is a little bit tricky. It was half of the fun, making out how it works. Retrospectively considered, all was quite logical. But one has a lot to think about. It is an adventure and is reminiscent of the 90ties games – in a good way. For me, it was the best game I’ve played in the last year. - Graphics: Awesome, comic style. Quite a piece of art. - Animation: well done - Music: fitting - Tools: an interactive map and a more than helpful PDA. - Mini games: Some of them were really heavy. Some of them, were kind of the early video games. Lovely retro. All in all, they were extremely good. - Length: I needed about 6 hours for completing, which was great. Rated 5 out of 5 by dusty777 from Best Game I have played in a long time! Challenging, wonderful, and Awesome!!!!!!!!!!!!!!!!!!!!!!!!!!!!!!!!!!!!!!!! 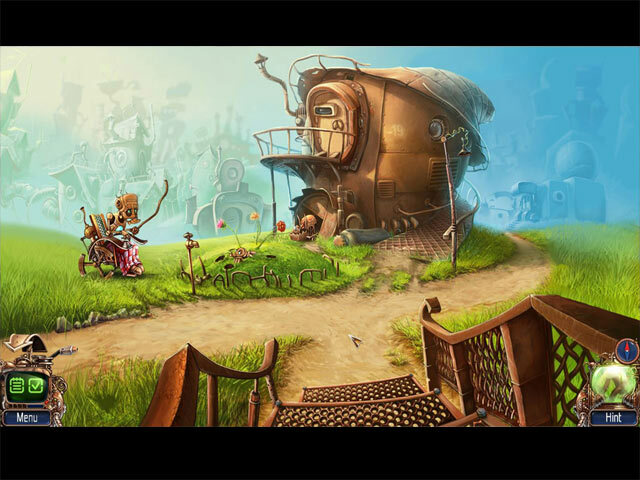 if you are tired of the same old Hidden Object/Adventure game this one is for you! Rated 5 out of 5 by timothya from Some Warts, But A Wonderful Game! Quirky, frustrating, challenging, occasionally brilliant game, but definitely not for everyone. Puzzles only in this one, but oh, what puzzles! The player had better use the tutorial, to start out with, and is in a constant state of "what do I do now?" despite the objectives clearly being defined on the PDA. Better have a high tolerance for ambiguity and a high degree of patience. Pros: Wonderful atmosphere, amusing characters, straightforward plot. Smooth game play, useful map. Great humor. Gorgeous cut scenes. Puzzles galore, several quite challenging. I actually skipped one and I HATE doing that. Music selection superb. Cons: A couple of points were a little too obscure: the mechanical bird, for one. The frequently-used help function was occasionally not terribly helpful, within the greenhouse, for example. There were language challenges - a professional translator might be an improvement. Overall, pure fun for an audience with a sense of humor as odd as the developers'. Thanks, guys, for a lot of enjoyment! Rated 5 out of 5 by smilingsun72 from Futuristly different! Very unique! I loved this game. It was do different then all the gloomy, dark, games BF has had lately. The story is unique and captivating. The graphic are great and bright. I like the PDA interaction. The Characters I met just didn't blab but added to the game by giving me tasks to do. The puzzles were great ranging from easy to hard. I recommend this game. And if you like this game you might like The tiny bang story game too. Rated 5 out of 5 by valkryor from Thinky Adventure Game An earlier review noted that this was like Tiny Bang Story, which I quite enjoyed and have played through a few times,so I took a chance and used a game credit. Am I ever glad that I did. Thanks to the invaluable forum help for this game, I managed to get through some tricky bits that eluded me and finished a few moments ago after playing on and off for the last two days. The puzzles require some thought, but there is a skip button if things start to get too frustrating. There are achievements, too, which are nifty for a standard game. :) If you like a challenging adventure game such as Tiny Bang Story or Shaban, then this is the one for you. Rated 5 out of 5 by Katie318 from Loved the logic of Steel Life! 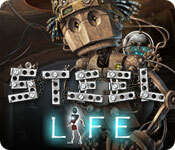 Steel Life is not a hidden object game. Thank you, developers. It is an adventure/logic game, which we see too little of these days. Some of the logic puzzles I'd seen before in other forms; most were new. It was rewarding to try to piece together what one had to do to move the game along. I think there is a general trend of "dumbing down" games. A child could follow most casual games through to their conclusions. "Parallels Cross" and "Steel Life" have been two recent games that challenge rather than spoon feed. If that's not your cup of tea, pass them by. But personally I would love to see more games like these! You receive a distress signal from a scientist who went missing a thousand years ago. Is this someone's joke or does he really need your help?